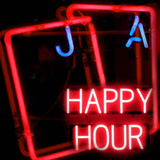 Gamblogger: Free Blackjack this Friday during Happy Hour! Free Blackjack this Friday during Happy Hour! Friday Happy Hour is going to be even happier this week thanks to a free Blackjack offer at Intertops Poker and Juicy Stakes. The two most popular poker rooms on the Horizon Poker Network also have a selection of casino games and this Friday they're giving one free Blackjack hand for every 10 hands you play! Free hands are only available this Friday, August 18 from 7:00 to 10:00 pm Eastern. The casinos will calculate your free hand bets based on your ten previous bets. Play-through for free hand winnings is only 15X. Get one free hand for every 10 played Friday, August 18, 2017, 7-10 pm Eastern. Both casinos offer casino games from World Match, Lucktap and Betsoft including several kinds of Blackjack: Blackjack, Double Draw Blackjack and Perfect Pairs Blackjack. (Blackjack in Intertops’ main casino does not qualify for this promotion.) New players at Intertops Poker and Juicy Stakes are welcomed with a hundred free bets on any Lucktap games.